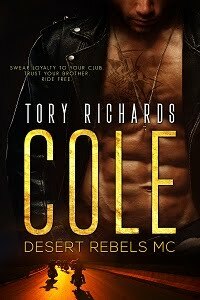 TORY RICHARDS: New Trilogy Planned! The Outlaw Nomad Trilogy is my next big project. Ruthless, book 1 will be out by the end of this year. Book 2, Dangerous and Book 3 Furious will be out sometime in 2018. There will be no cliffhangers and each will be a standalone novel.